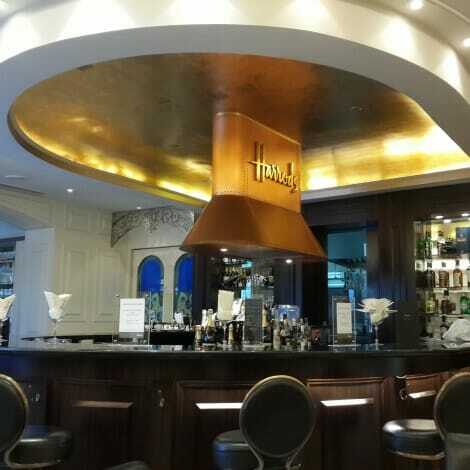 Harrods used to be one of my favourite places to visit in London – I loved the deli section and that was also the place where I first learnt about designer labels. 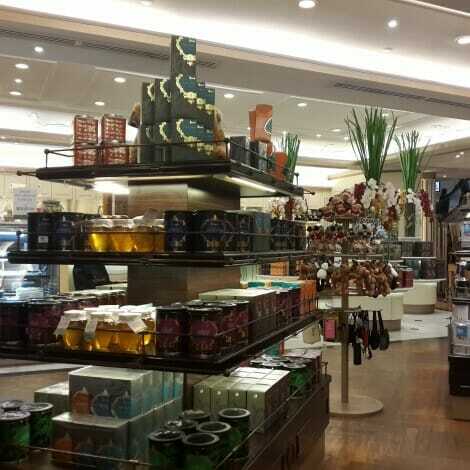 When Harrods opened in KLCC, I wasn’t particularly drawn to the shop as I was in London. 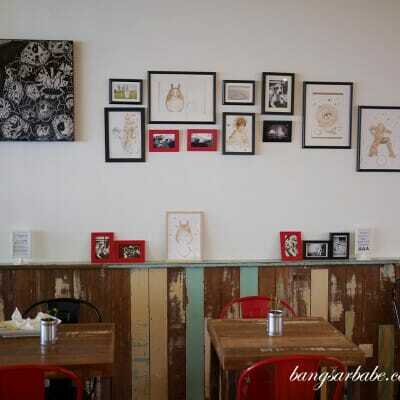 It was only last week that I paid this place a visit for a snack of scones and coffee. As I’m not a tea person, I ordered one of the priciest and most disappointing lattes in my life. 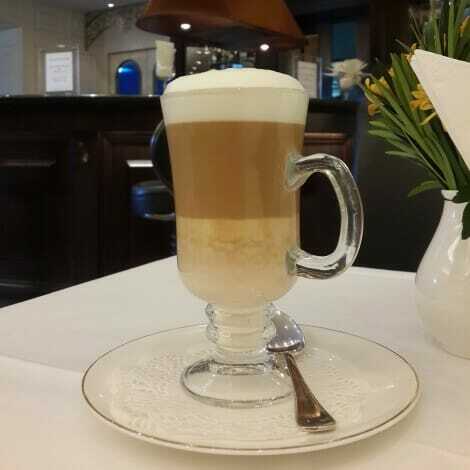 For RM20, my latte was scalding hot; to the point I couldn’t even pick up the glass. And it tasted awful – burnt and overly milky. 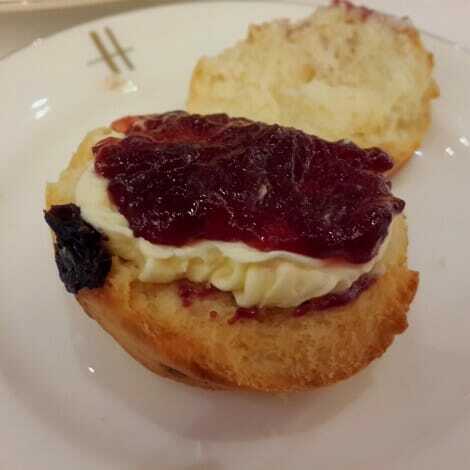 I wanted to try the scones since it was so highly rated by quite a number of bloggers. 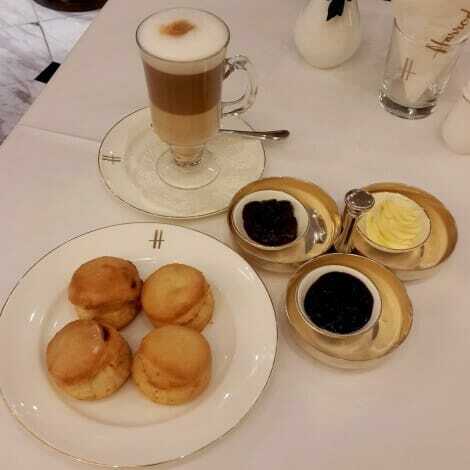 The scones were simple – chewy and moist in texture, and served with clotted cream, strawberry and blackcurrant preserves. While it was fairly decent, it was certainly not the best I’ve tried and for RM35 for 4 tiny pieces, I found it very expensive. I walked out RM63.80 poorer, and hardly satisfied. 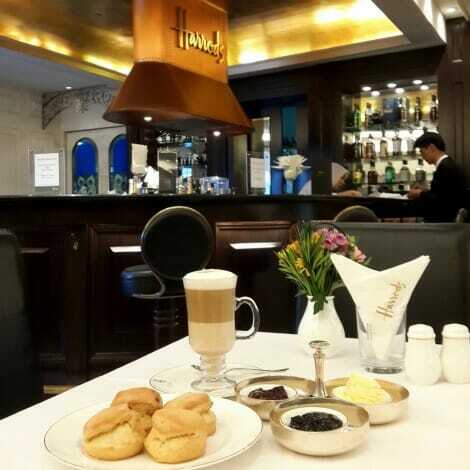 Later that night, my father in-law mentioned there was a Harrods Café on the ground floor of KLCC. According to him, the café was better. Oh well, lesson learnt. Verdict: Always order tea, and never the coffee here. *All photos taken with the Samsung S4 (no filter).